Article 1 Application of Provisions 1. Accommodation contracts and other related contracts entered into by the hotel shall be as per the contract agreement. Any unstipulated matters shall be in accordance with the law and customary practices. 2. The hotel shall abide by the current provisions when it comes to reservations made by credit card, but the details which shall apply will be based upon the provisions concluded between the credit card company and the membership hotel. 3. Notwithstanding the foregoing provisions, the hotel may enter into special contracts to the extent that they will not be contrary to the intent of these provisions, the law and customary practices. 4. Those in contract as a membership of the hotel, the membership provisions prevails over these provisions. Article 2 Rejection of Accommodation Requests The hotel may refuse to provide accommodation in the following circumstances, applicable for both prospective and staying guests. 1. When the accommodation requested does not come under these provisions. 2. When the hotel is fully booked and no accommodation is available. 3. When it is reasonable to suspect that the party or parties desiring the accommodation may use the accommodation in a manner contrary to that provided by the law or the maintenance of public peace and order and decent morals. 4. When the party or parties desiring the accommodation is clearly identified or detected to have an infectious disease. 5. When the party or parties seeking accommodation is reasonably believed to be in possession of dangerous drugs or chemicals or be capable of introducing dangerous drugs or chemicals to the hotel. 6. When the hotel is incapable of providing accommodation due to natural calamities, damage to its facilities and any unavoidable causes beyond the hotel’s control. 7. When the accommodation request runs contrary to the rules and regulations stipulated in the laws of the Republic of Korea. 8. Hotel management decides not to supply the room with reasonable reasons. Article 3 Identification of Particulars When the hotel has accepted a request for accommodation (hereafter called a reservation) prior to the dates of actual occupancy, the hotel may request the party or parties making the reservation to provide the following particulars within a certain time period: 1. Name, Nationality, Passport Number, Contact Telephone Number, Resident Address, and gender of the party (guest) requesting the accommodation. 2. Other particulars deemed necessary by law and by the hotel. Article 4 Reservation Deposit 1. The party requesting the accommodation is requested to pay the full or partial deposit for the room charge for the entire stay. 2. The hotel shall guarantee a reservation only when the request of the reservation is followed by a payment of the deposit. The user of a credit card shall be guaranteed the reservation regardless of the deposit payment. 3. When the deposit aforementioned comes within the scope of Article 5, such deposit shall be utilized to cover the cancellation charge with any remainder refunded. When a credit card, without deposit, is used for reservation, the relevant charge as stipulated in Article 5 shall be charged to the credit card. 4. In the case of a reservation or cancellation by credit card, the hotel shall inform the reservation maker of the details of the transaction e.g., receipt number, receiver’s name and the deposit amount. Article 5 Cancellation of Reservation 1. When a party or parties cancel in part or in whole the reservation made, the hotel shall impose a cancellation charge in accordance with the following : 1. In the case where the cancellation is made 4 days prior to the due arrival date, no cancellation charge will be imposed. 2. In the case where the cancellation is made 1~3days prior to the due arrival date, a 100% of the first room charge will be imposed. 3. 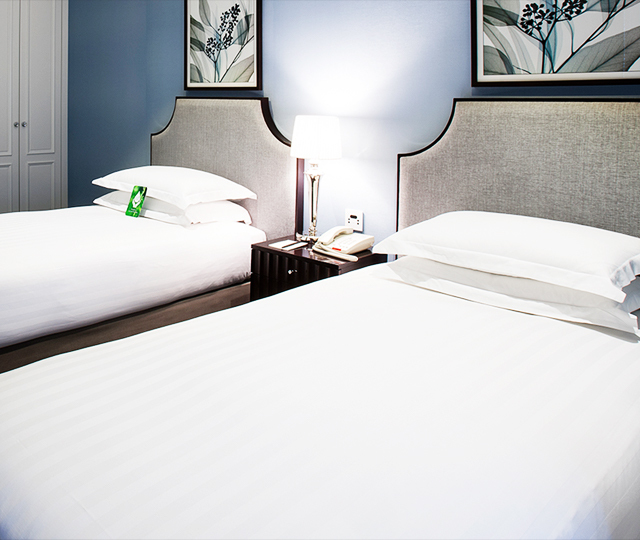 In the case where the cancellation is made on the arrival date, a 100% of the first room charge will be imposed. 2. When the reservation is considered cancelled in accordance with the preceding paragraph, but the party or parties concerned is able to prove that his/her failure to arrive was due to the delay or non-scheduled disruption of his/her means of conveyance, and not to any cause due to him/her, the hotel will not impose any cancellation charge. Article 6 Provision for Hotel’s Right for Cancellation 1. Except as otherwise stated, the hotel reserves the right to cancel reservations in the following circumstance : 1. When it comes under Clauses 3 to 8 of Article 2. 2. When particulars or clarification thereof stipulated in Article 3 has been requested but not complied with. 3. When reservation deposit as stipulated in Clause 1 of Article 4 has been requested but not complied with. 2. When the hotel has cancelled a reservation in accordance with the foregoing paragraph 1) and 2), it shall refund any deposit received for such reservation. Article 7 Registration Parties are requested to register the following particulars with the Front Desk of the hotel on the day of arrival. 1. Particulars stated in Article 3. 2. In the case of a foreigner, the passport number, visa status, place and date of landing in Korea. 3. Confirmation of the acknowledged room rate and length of stay. 4. Current address (electronic mail address), telephone number, present occupation, date of birth and purpose of trip. 5. Day and time of departure. 6. Other particulars deemed necessary by law and the hotel. Article 8 Check-in and Check-out Rooms may be occupied from 14:00 once registration is satisfied (‘check-in’). All departing guests must vacate their rooms before noon (‘check-out’). The hotel may permit the use of a room beyond this time by imposing additional charges as follows: Early arrivals 1. It will be 22,000 won per room, per extra hour (including tax). 1. Until 17:00: 50% of the room charge 2. After 18:00 100% of the room charge Article 9 Payment of bills 1. Payment of bills may be made in cash, traveler’s checks, credit cards or vouchers recognized by the hotel at the Front Desk, at the time of departure or when requested. Personal checks are not accepted by the hotel. 2. Parties shall be requested to prepay the accommodation charge from the date of occupancy with an additional 20% of guaranty deposit. Article 10 Compliance of Rules Parties are kindly requested to observe the rules established by the hotel and posted within the hotel. Parties are obliged to comply with the rules established and made available for access by the hotel. Article 11 Rejection of Continued Occupancy The hotel reserves the right to reject the continued occupancy of any room, notwithstanding the period accepted, under the following circumstances. 1. When it comes under Clauses 3 to 8 of Article 2. 2. When the party does not comply with the rules in the foregoing Articles. Article 12 Liabilities 1. The party’s liability for the room commences upon check-in and ends upon check-out and the settlement of due payment for the accommodation and other services rendered during the period of stay. 2. The parties are liable for any loss or damage to hotel property during their stay and shall indemnify the hotel in accordance with hotel regulation. 3. The hotel is not liable for any accident or loss caused by the guests’ negligence or ignorance of this provision and regulations. 4. The hotel shall provide adequate substitute accommodation (of the same quality) for the party (or parties) with prior and accepted reservation if the hotel fails to provide the due accommodation. Or, the hotel shall pay 100% of the paid reservation deposit.